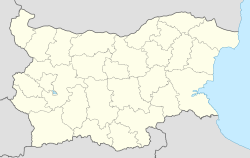 Kermen (Bulgarian: Кермен) is a small town in Sliven Municipality in Sliven Province, eastern Bulgaria. As of 2015[update] it has 1 727 inhabitants. Kermen Peninsula on Robert Island, South Shetland Islands, Antarctica is named for Kermen. This page was last edited on 22 March 2017, at 12:15 (UTC).